How to Use Your Bag as a Fashion Accessory? The first that you may want to do is to change the places that you are shopping at. See, if you really want to make a statement, you can’t choose the same purses that everyone else is reaching for as well. No, you have to be a little bit more selective about your choices. This means keeping an eye out for different designers that have a unique take on purses. Take, for instance, the Farrah and Sloane handbags. These are fashion-forward purses that are suitable for modern women on the go. As you can see, it really pays to keep your eyes open for new and interesting options. Most people keep their outfits rather simple when it comes to colour choices. After all, wearing the wrong shades together could end up leaving your outfit a mess rather than a brilliant fashion choice. This isn’t something that anyone wants to deal with. So, this is where your purse comes in. It can be that pop of colour that helps you to stand out from the rest. The trick here is to choose a bag that is slightly smaller. For instance, if you want to opt for a bright, neon colour, you should look for a clutch. This way, it will prove to be an interesting feature instead of taking over your entire look. Once again, sometimes you just want to keep your outfit muted, particularly if the situation calls for it. Fortunately for you, this doesn’t mean that you have to tamp down on your creative tendencies. Rather, they can simply be expressed through your purse. 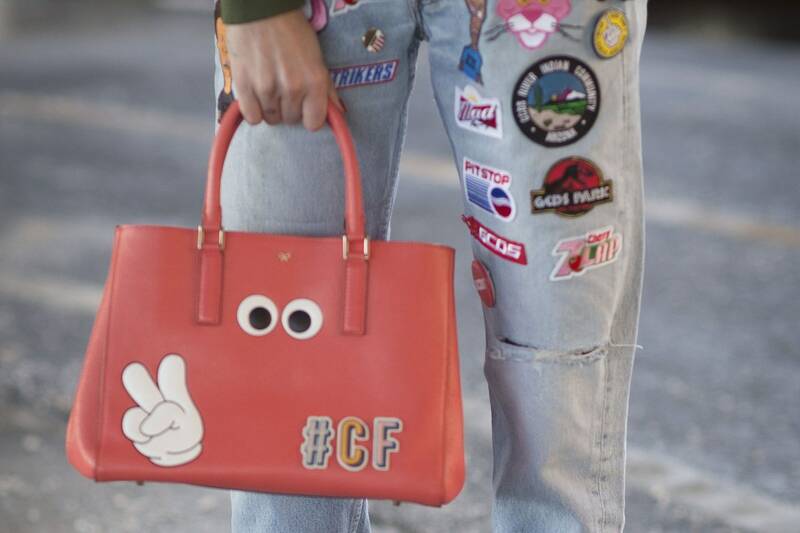 Here, you should look for bags that have bold and fun features. This could be fringe, feathers, sequins, or just interesting patterns or images. This will help to take your ensemble to the next level without feeling as though you are overdoing it. So, once you have a bag that ticks all of the boxes mentioned above, how do you get people notice your little marvel? Well, by carrying it, of course! This is why the carrying mechanism of your purse is so important. If you really want people to admire your accessory, make sure that it is in a position for them to see it. Often, the best way to do this is by hanging it from your forearm – they are sure to observe it then. Remember, though, the handles of the purse should also be quite chic as these will be on display as well. These are all of the things that you need to know using your handbag as a fashion accessory.